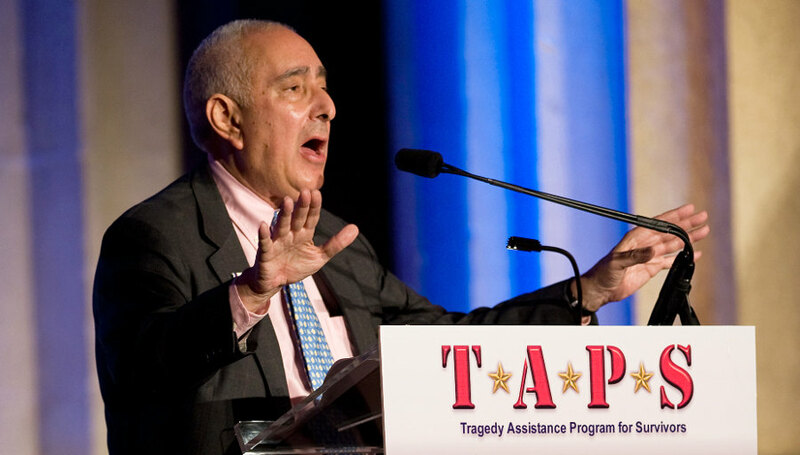 In this April 15, 2008 file photo, actor, author and commentator Ben Stein speaks at a gala in honor of the Tragedy Assistance Program for Survivors, or TAPS, in Washington, D.C.
It’s no surprise that the same Hollywood elites who campaigned hard for abortion-extremist Hillary Clinton in 2016 are now enraged by the election of Donald Trump. But while the president-elect’s glamorous critics have been crying “racism” at his every move, one Hollywood veteran has a fascinating take on Tinseltown’s real motives. Many readers will remember comedian and political commentator Ben Stein for his hilarious performance as a drab, uninspired high school teacher in the 1986 comedy “Ferris Bueller’s Day Off.” (“Bueller? Bueller? …Bueller?”) But in real life, Stein is a passionate defender of the vulnerable, and an eloquent defender of the unborn. “For me, the number one issue is right to life,” he once said. This week in an interview with Fox anchor Neil Cavuto, Stein called out Hollywood’s hypocrisy. Stein’s observations ring especially true in light of recent events. Since Donald Trump’s election, many Hollywood stars have been up in arms against the steps conservatives are taking to repeal the Affordable Care Act, defund Planned Parenthood, and otherwise push back against the Leftism that Hollywood promotes. But even if a dissenting celebrity escapes professional sabotage, “to be blacklisted socially, and to know that your friends don’t want to be your friends anymore, it’s a very bad thing.” Stein himself has had a successful career in Hollywood, but it’s been rocky. Is Hollywood’s Anti-Racism Just ‘Snobbery’ in Disguise? According to Stein, it was snobbery — rather than genuine anti-racism — that fueled much of Hollywood’s anger during the 2016 presidential election. “They look down on Donald Trump even though he’s rich because they think he’s trashy-rich, like Archie Bunker who suddenly got 11 billion dollars,” said Stein. Do Black Lives Really Matter in Hollywood? Apparently, black lives matter only some of the time. Abortion is the number one killer in the black community, outnumbering all other causes of death combined. Abortion killed 317,547 unarmed black lives in one year while all other causes of death amounted to 286,797. But no one in the Democratic Party is rioting in the streets. 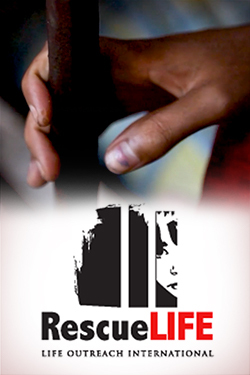 No one is holding a sit-in over the senseless violence that has taken millions of lives. Abortion rates are five times higher among blacks than whites, and double the rate of Hispanics. Do you not realize that many of those who do not respect, admire, follow or acknowledge Trump as leader did NOT vote for Hillary Clinton, and are pro-life, pro-Israel, fiscally conservative, conservative on immigration, born-again Christians? You don’t have to be a liberal to be ashamed of the outcome of this election. It’s actually just a few, and they speak out on their faith, and they’re selective about which jobs they take because their main goal is to honor God, not their bank account, and they, having faced down the antichrist political correctness there, are not deceived by the lies and slanders being fomented there against Trump. One of the strongest ones is a brother of that foul mocker who ridicules on Saturday Night Live. Likely they’ve also heard the same story about Trump that I have heard: that just about at the time that he entered the race, Donald Trump prayed to receive Christ as his Savior, making him a baby, diaper, Christian. As such, those who refuse to cut him some slack as he transforms from the old man to the new are openly declaring their own lack of a genuine Christian faith, because they have no idea what that transformation involves, having not experienced it themselves. In closing, do you know which Presidential candidate it was that absolutely SURROUNDED themselves in solid Christian council? There was only one: Donald Trump. I will cut him some slack, knowing that I am not better than him. How about, in your own case, you admit the same thing about yourself. Oh give your head a shake. “A baby diaper Christian” my foot. You believed a rumour, anyone can give lip service to saying the sinners prayer without any heart consent, and there is zero proof. New Christians are to make a public proclamation of their conversion, be baptized and start exhibiting fruit, including repenting of their sins by making restitution where possible. He has done none of that. Please STOP calling Trump a Christian, you are defaming the name of Jesus Christ. There are also several rumors and strategically written headlines out there that have been believed about what he said or did that “prove” he’s a horrible person. Who can know the heart but God? Be careful with your judgements. The gospel is simple, free and by grace. You are adding some fruits that are not required (but hoped for, yes) and will take time. We recently planted a fruit tree, but will not get any fruit for several years. We are trying to do all we can to encourage the tree’s growth and future fruit, but we do not expect any fruit yet. How about we pray that his conversion was real, and that he grows in faith. You wouldn’t be disappointed if that happened, would you? Repentance involves saying you are sorry for your sins and wrongs…he has not even given a whisper of regret about his foul and mean-spirited comments, and continues to make them. Until he stands up in public and openly declares that he he has seen the light and made Jesus his Lord, and acknowledges his wrongs, there is no reason for me to trust he has had any conversion. You cheapen Christianity and the new birth by continuing to pretend it is possible Trump is born again in Jesus. The Holy Spirit comes to live in us when we do and therefore we have discernment to know who is really a brother or sister in Christ, and Donald Trump is not a brother. Stop saying he is. So God only gets to save and change people with your approval only? In addition, Ivanka Trump having converted to Judaism involves denying that Jesus is the son of God. Christians would never convert to Judaism – it’s going backwards, even though the Hebrew race are Gods chosen people. Further evidence that Jesus is not the center of the Trump family’s lives. All these lengthy posts over a period of hours tells me you have too much time on your hands…and most likely a troll. “You have too much time on your hands” is the last straw grasped by someone who’s lost the argument. Christianity is “cheapened” as you say by people like you who expect our next POTUS to tweet about his new faith so that YOU can know about it. No one knows Trumps heart except the Father. You don’t have any idea of what he does in his private life or what acts he has taken that may lead him to Christ. I can’t count the number of times I have heard non-believers say “Christians are too Holier than thou and waaaay to judgmental of people” The animosity and hurtful tones of your posts make me think that you are either a troll trying to stir up people for your own thrills or you are one of those “Christians” that think they are better than others. We are ALL sinners and humility, love, compassion, mercy and grace are what we should be reminded of when we speak of Christ. NOT the insults and insinuations you are posting. I will pray for both you and President Trump. The Pres. Elect’s private life is something that he gave up a long time ago when he chose to be a very public celebrity living his concept of the lifestyle of the wealthy and famous. I’m suppose to pretend that I haven’t been reading about him for ages? Other wealthy real estate developers manage to keep their private lives private. I’m not God so I don’t know what’s in his heart. I do know, however, what’s in his Tweets. So in other words, you are setting yourself up as knowing more than many of the Godly men–James Robertson, Franklin Graham, and many others who know the man personally and have met with him many times. I think you better check yourself girl. James Robison and Franklin Graham have not said that Donald Trump is a Christian…they meet with him to pray with and for him. Many Godly pastors meet with and pray with Barack Obama and Bill and Hillary Clinton too. Also, several leading American Christians such as Beth Moore and the editors of Christianity Today refuse to endorse him. Even if there is a rumour that he supposedly prayed the sinners prayer, anybody can move their lips saying the words without their hearts being changed or converted one whit. If that happened months ago we would have seen a change and he would have used his Twitter to announce his new found faith. A truly converted man would not be able to hide it…you and many others have been duped and should stop going around bragging about your “Christian” president, because he is not. You are just another person with the rare gift to see directly into another person’s heart. Good that we have sages like you to divine who is a Christian and who is not. Oh, wait …. we might just have to have faith in and trust God. By their fruit you will recognize them. Even if you ignore all rumours about Trump, just go by what he does and says and tell me he acts like a Christian. And what does Scripture have to say about our proper behavior when dealing with or talking about non-believers? I think there’s something in there about treating others in the same way that we hope to be treated ourselves. I think there’s something in there about having respect for others. I think there’s something in there about not spreading LIES about others (especially when those others are not present to defend themselves). So, even if my information about him recently becoming a Christian does not pan out, the people that are verbally vandalizing and abusing and passing along fake news about him as though it were proven fact and even openly slandering him are without excuse. I would not have a single criticism to make if people did not keep perpetuating the rumour that Trump is a Christian. I take great offence when my unsaved loved ones hear Americans saying they are so happy to have a Christian president because his words defame Christianity. So if you and others stop spreading that rumour I will have no need to make comments because it’s none of my business that anyone approves of his carnal nature. And does that “great offense” make it righteous for you to disobey the commandment, “you must self-sacrificingly love your neighbor as yourself”? Does it give you righteous venue to treat what is to you a complete and total stranger in a manner assuming that they have Hell as a destination, when YOU DON’T KNOW THEM? Of course, Hillary Clinton is a devout United Methodist grandmother and a long time regular at UM Women’s Conferences. That she is and always has been a churchgoing Christian doesn’t count with white conservative Evangelicals. When you consider over 80% of evangelicals voted for Trump, the people you describe are solidly in the minority. You be ashamed. I’m feeling just fine myself. So, I should’ve voted for the vile Felonia Pantsuit instead? You people ran a horrible candidate who ran a horrible campaign. Don’t throw a tantrum and lash out at Republicans…it’s your own fault Trump is Pres. Yeah Trump can be a egotistical unreasonable person about some things. But he definitely said he would not name anybody to the Supreme Court that was pro abortion, seemed to have Christian values, and that was the main difference between Trump and Hillary in my opinion. May God raise up more voices for truth and freedom like Mr. Steins in those places of hardness and lies. When he released the documentary ‘Expelled’ we knew we had an ally for truth and freedom of expression in the field of science. His hurt and rejection will one day be vindicated by God for his stands. Way to say that Black women are child murderers. Mr. Herreid, and need privileged white men like you to control them for their own good. ‘Trump as an Archie Bunker who suddenly got 11 billion dollars’ is a pretty good analogy I have to admit. Years ago, John Mulaney had a funny bit in his stand up act where he joked that the man who is now the Pres. Elect was like a hobo’s idea of a rich man. MULANEY: “Yes. He was still an odd person then… to me, Donald Trump is not a rich man. Donald Trump is like what a hobo imagines a rich man to be. This is sour grapes from someone whose Hollywood career ended long ago. Because Trump has a long history of targeting black people. His ‘no vacancies for blacks’ issue in the 1970s, his campaigning for the death penalty for the innocent ‘Central Park Five’ in the 1980s, and now his disparaging of John Lewis, to name just three examples from different decades. Stein’s defence of Trump is shameful.